LANCASTER – In a packed City Council Meeting Tuesday, council members unanimously approved an agreement between the City of Lancaster and Aero View LLC to provide for an aerial surveillance system – or as Mayor R. Rex Parris called it – an ‘Eye in the Sky’. 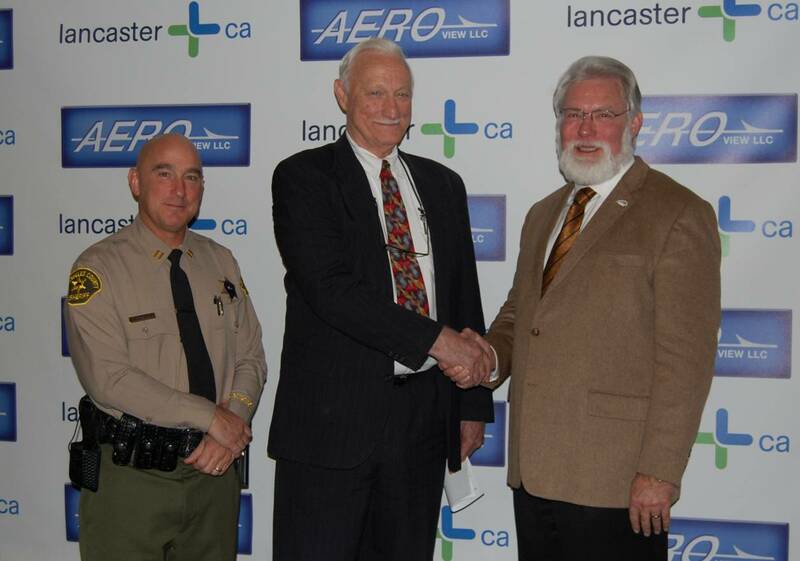 The City will pay $1.3 million to Aero View, LLC to acquire the aircraft, avionics, and other equipment required to develop and deploy a Law Enforcement Aerial Platform System (LEAPS) in Lancaster. 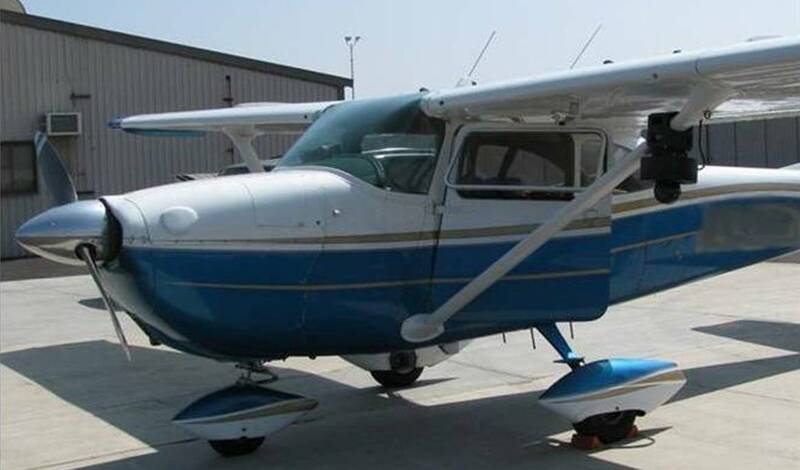 The system will outfit a Cessna 172 with cameras to deliver imagery, via an encrypted communications link, to equipment at the Lancaster Sheriff’s Station. All surveillance operations will be controlled solely by Sheriff’s personnel with no imagery accessible in the aircraft. Aero View will provide an average of 10 hours of aerial surveillance daily at times to be determined by the sheriff’s department, or approximately 303 hours per month. After an initial 12 months of free service, the City will pay Aero View approximately $90,000 a month for service. Aero View will house its business development and operations in Lancaster for a period of 10 years from the date of execution of the Agreement. Lancaster Sheriff’s Station Captain Bob Jonsen said the new system would allow law enforcement to follow a criminal’s movements from altitudes of 1,000 to 3,000 feet above ground. Jonsen stressed that the Sheriff’s department would completely control the data, surveillance and operation of the system. “We are going to use this to our advantage to root out criminals, not just to be flying over and looking in your backyard,” Jonsen added. Another advantage of the system, Jonsen said, is its ability to store up to two years worth of data that is instantly accessible to law enforcement. In their comments, residents were strongly divided, either for or against the new system. Those who opposed the system saw it as an extreme invasion of privacy. Others were strongly in favor of the new system. “I’m in favor of this 100% and whatever I can do to get it done,” said Elaine High. The Law Enforcement Aerial Platform System will be deployed in Lancaster in early Spring of 2012. 57 comments for "‘Eye in the Sky’ gets City Council approval"
askia@yahoo.com and my phone number is 323=9459589. Don’t mind Ace, Abdul. He is just the resident grumpy old man who doesn’t like anyone and holds ridiculous points of view without regards to any facts. Oh, Ace’s point of view makes perfect sense somewhere, but his weak link is, this is Earth. Every once in a while you’ll find yourself agreeing with him, but usually he’s off in “AceLand” somewhere. thats left is your private thoughts,-and yet there are present efforts to even know that !Therefore due to the rapid pase of science and new inventions we are fastly moving toward living in glass houses wherein whomever can see clearly through your home. Sqwak as you may it is what is! An interesting experiment would be to have everyone in Lancaster who is opposed to the “Eye in the Sky” move to Palmdale and let everyone in Palmdale who supports it to move to Lancaster. After two years go by, then see which of the two cities is safer. Your proposed experiment is unnecessary, Mario. Proof: Both cities have comparable populations and Palmdale even has a higher quotient of Section 8 housing, yet Palmdale has a consistently lower crime rate than Lancaster! A ridiculous idea, costing lots of money, with negligible benefit. Put a camera and communications link on a Cessna, and someone makes millions. A costly effort in search of a purpose. It would be terrible if the plane’s engine sputtered and it nose-dived into Parris’s house while he’s in the bathtub. Just terrible. Old Timer, the GOVERMENT WILL BE FILMING YOU WITH INFRARED CAMARAS AND HEAT SENSORS IN YOUR OWN HOME and save it indefinitely, 2 yrs for quick review, until now the goverment needed a warrant and probable cause to be that intrusive, not anymore thanks to Mayor Parris, and he is teaching all other cities how to get away with spying on their citizens. When YOU choose to film in YOUR OWN HOME, it is YOU, filming in your own home. what the city of Lancaster is doing is violation of citizens rights in a big way, but if they are Ok with it, well enjoy, if not this will be another lawsuit that their city will have to endure, it seems to me that the Mayor is keeping people fighting and arguing amongst themselves to take away the focus on his business deals and where the moneys is going, how many lawsuits are there now? who is making money on the City’s defence? is there a connection with the Mayor? just asking…..
No they are not filming you inside your house. No, these IR cameras do not penetrate walls, or anything like that. No one has even suggested that they would be doing this. All those accusations come from people on this thread. I wonder how solar panels affect the ability of the infrared cameras to ‘see’. Funny, cause Parris is also working on promoting solar panels on new homes in Lancaster. He is so bass ackwards in his approach to anything, I bet he puts his socks on over his shoes. One thing that it doesn’t talk about is that the plane will have heat censors, which can follow you around inside your house. We don’t need this to fight crime, this idea is completely absurd. To me, it’s not to fight crime at all. It’s to keep track of people he can’t stand. Once you have a camera looking into your backyard or even your house it turns even more into an issue. Wait a minute… the sheriff helicopters already have the same infrared cameras in use now. And for field operations, there are the infamous “night scopes”. What is the difference? I don’t want a plane looking into my house or backyard. This is just absurd. We can fight crime without having to spy on people like this. Oh, great. I just installed radiant electric floor heating under my tile floors. They’ll think I’m growing pot or something. Oh, well. I’ll just have them come in, take off their shoes and feel how nice and warm the floor is in January. I love how gloss over the violation of citizens’ privacy rights, and at the same time blur out the N-number on the plane so we can’t look it up. I guess it’s only the “big guy” who’s entitled to privacy protections. Let’s define your right to privacy. Where does your right to privacy end? Where does someone have a right to watch you? I should clarify my last comment. I’m not trying to be a smartass about this by asking that question.. I’m serious about wanting to know how far people think their right to privacy extends, and I dont understand why this project is raising those concerns. Google Earth, Google Earth’s street view, “Spy” satelites, CCTV cameras all over the place, are all watching us and have been. the camera I see on this plane does not look too much different than the very same camera on the sheriff helicopter, or even the various news helicopters. why no complaints about them? Personally, I have more concerns about my internet provider knowing every website I visited, and having logs of all emails sent and received. I have more concerns about my phone company knowing who I have been talking to. To me that is more of a concern than some camera looking at whatever it can see in public. Very poetic, but you didn’t answer the question. I certainly believe I have a right to privacy in my back yard, with 6′ block walls and tall trees surrounding it. My property is not “public”, it is private. Helicopters I can hear, and avoid. But it’s my understanding that there were mods made to the aircraft to make it quieter, more covert so people are less aware of it’s presence. I take issue with that, and with the concept of a round-the-clock “eye in the sky”. I understand what you’re saying… the problem is that whatever is viewable from public property is not an invasion of privacy. Sure, you might not like it, but that’s what it is. If I am your neighbor and decide to videotape you in your back yard from my second floor window, or if I choose to stand on the sidewalk in front of your house and take photos of you, that’s ok, as long as I am not on your property, right? Sure, we may not like it, and it’s pretty creepy, but that is legal right? Taking photos or videos of your property from the public sky is no different. Now there are limits of course. Can someone use some kind of camera that can see thru walls inside your home. Probably not without probable cause. I do understand what you are saying though. clearly we all agree that when we are in public we have no expection of privacy. And when you are in your own house you should have absolute right to privacy. But what happens when you are on your property in plain view? That is not protected, is it? Just to spark some debate….If you think someone does not have any right to photograph or video you at all when you are on your own property even if you are outside in plain view, let me ask you this: How do you feel about those “nanny cams”? Those are the little hidden cameras people sometimes deploy to covertly monitor a babysitter while that babysitter is working inside the home. Is it right for you to secretly record someone inside your home like that? Duh, it’s your home. Not the same thing. Jo, what’s not the same thing? My nanny cam example? Interesting. So you basically whine about 4th amendment rights, but as it turns out it only applies if you feel someone might violate yours, but it’s ok for you to violate someone else’s. My backyard isn’t visible to the public – the only way someone could see in would be if they were trespassing…or airborne. My guess is if I mounted a camera on an RC aircraft and flew it over Rex’s and other officials houses and put the video on Youtube, I would face prosecution or a civil suit at the least. Sophie.. So do it. It’s perfectly legal (unless there are specific rules against flying RCs over congested areas). Now you are complaining because this plane is too quiet? Would you also complain if the thing was too noisy? I would. Should patrol cars remove their mufflers, so they are loud enough that they can never sneak up on you? This is an easy one, and is answered by those damn ultra-liberal criminals, the founding fathers. Just for a hoot, why not follow the guidelines set forth in the 4th amendment. Just a thought! There you go again. Not answering the question, just blindly reciting the 4th amendment. Where does your 4th amendment rights end? Really? Have you read the 4th amendment? You think the description is obscure? I don’t know what to tell you then. To me it IS the answer. To bad it’s not good enough for you. Tell us, do you work for the city old timer? Jo, yes I have read it. I also know at what point it is not a violation. And again, whether you like it or not, you do not known the sky above you. It is perfectly legal for anyone to photograph your property from the sky. Too bad *that* is not good enough for you. Google has bazillions of dollars. Why don’t you sue them for taking photos of your property? I’ll tell you who I work for when you tell me who you work for. And for your reading entertainment, here’s some interesting case law regarding whether or not aerial surveillance is a violation of the 4th. You don’t seem to get it. Or is it you’re trying to make sure other people don’t get it! This is not a couple of still pictures from 3 yrs ago like google! This is 10 hours of video of your personal property by the government, 7 days a week, month after month, year after year, where a bored sheriff with marital problems can stalk his wife, or neighbor, indefinitely. And go back and stalk his ex from a couple years back. And your link doesn’t even begin to cover that. But like so many other fear mongers in our state, you are willing to give up MY rights, because you either got someone you want to stalk, or you’re some kind of deluded exhibitionist, hoping to be on a “reality show”. Or maybe one of the investors??? And since it IS equipped with heat sensors, how exactly will it be UNABLE to pick up heat sources in our houses? You really believe it can stop picking up heat sources just because the law says it can’t look into a house? Does the camera’s say to themselves, “I’ll just not look now, because that would be baddd” after a heat source goes through a door? You are way to naive to be an old timer. City employee is more like it. Jo, You don’t seem to get it… no one has any interest in circling your house for 10 hours a day. Its not equipped with heat sensors as you claim. I am very familiar with the kind of technology being employed on this thing. Its not going to be looking in your house, not because that’s illegal, but because its impossible with the equipment they have on board, You are the one who is naive. HERE COMES ANOTHER LAWSUIT, HOW MANY NOW? As mentioned before, the $1.3M is not just for a plane… its for the other equipment and engineering that goes with it. That fancy stuff costs money. No one, except the complainers have said that this thing is capable or going to be looking into people’s homes. It’s not. This plane has basically the same equipment as the helicopters, so it has the same capability. Since the plane flies at a higher altitude than the helicopters, I would argue that its imagery isn’t even as good as the existing helicopters. You can’t complain about the plane doing something more intrusive than the existing helicopters are doing now. Like it or not, what can be viewed from public land, or the sky above is not protected. If you think it is, then please file a big fat lawsuit against Google, because they have some pretty good imagery of your home available to everyone. You’re right. The helicopter isn’t up here just patrolling for hours on end. It’s normally up here in response to a specific incident. There is only one reason that is the case: The cost. I guarantee you that if the helicopter was cheaper, it would be up here patrolling for hours on end, too. yes, Old Timer, if helicopters were cheaper citizens of all cities would be jumping with joy to have helicopters armed with infrared camaras and heat sensors hovering above their homes,JUST PICTURE THAT PLEASE, PLEASE, CLOSE YOUR EYES, AND PICTURE THAT, that would really make people feel safe. Like a said if Lancaster citizen don’t do anything about this, other cities will follow…and us in Palmdale are just a stone away, right now Mayor Landford does not seem to subscribe to the nonsense but what happenes when he is gone and we get a crazed politico in his place? Do you think lancaster is the first city to do this kind of aerial surveillance? No, they are not. It’s being done in other cities too. Not too hard to find, if you google the subject. Let’s see… $1,300,000.00 up front – NOW – of our tax money. In 12 months, $1,080,000.00 EVERY YEAR of our tax money… for 10 years! TOTAL: $12,100,000.00! That’s right, 12 MILLION DOLLARS of our money to yet another Parris Pal. And for what? So that Parris can try to get dirt on his political opponents! Oh, yeah – that works out to $297.03 PER HOUR (NOT including the intial gift of $1.3M). Yup, basically $297 per hour. And this is for something that is for the exclusive use of Lancaster, 10 hours per day, 7 days per week, vs the current sheriff helicopter which costs the city $3000 per hour, is not based here, and is only here when its called in response to something and its available. This actually sounds like a good and cost effective idea to me. First: where do you get the figure that the Sheriff’s helicopter costs the city $3K per hour? That does not coincide with my information. 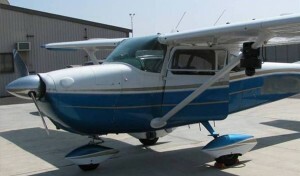 Second: If the City is paying the outrageous sum of $1.3M to purchase everything outright (it’s just a little Cessna, for crying out loud), what is the $300/hour going towards? Listen to the city council presentation again. They said this was 1/10th of the cost of the helicopter. Where did you see $1,080,000.00 per year? Never mind… I figured it out.. $90K time 12 months. Duh. My bad. Parris seems to have months and years. This is what is really ridiculous. The plane is only operational 10 hours a day, so this great “crime fighting tool” that costs us taxpayers $90,000 a month is operational for 10 out of every 24 hours in a day. The range of the camera, according to the cities own little video presentation, is just a “couple of blocks”, so in order for this plane to be effective, it has to be airborne, and within a “couple of blocks” of the crime location at the time the crime occurs. The obvious goal of this program is to sell it to other agencies, so I would be doing some questioning as to how much money Parris, or his wife and traditional business partners, have invested in it. Smells like a city sponsored, Parris business venture to me. This guy is a prime example of what is wrong with our country today. He is so willing to give up EVERYBODY’S rights for his own FEELINGS of the illusion of safety. Hitler absolutely LOVED idiots like this guy… And so does Parris, of course! Oh, and I love the immediate accusation against EVERYBODY who disagrees with him as being automatically a criminal. This is a typical Parris supporter – a stupid stooge that THINKS that he has nothing to fear from Big Brother. I wonder if they will keep publicly available records of how effective the system is. Mark Pierson is a real estate agent works for c-21, he is selling something to the city of Lancaster, somrthing about foreclosed homes…. Ace, you really need to get a life. All you do is troll various forums around the Antelope (and Apple) valley areas.